Which is the best streaming stick to use in a hotel room? Well, I’ve tested and used four. Here’s my review of using each of them while staying at a hotel using the hotel’s Wi-Fi. The Quantum Access LAN Windows 10 Fanless Mini PC Stick is Windows 10, 32. 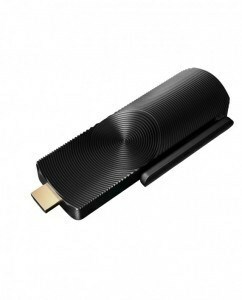 It scores high marks as a streaming stick because it stands in a class of its own regarding performance and flexibility in comparison to similar devices on the market. It has all the features of Windows 10, plus a built-in Web Browser to help you log into the hotel Wi-Fi. Because it has a browser, you have access to all streaming media sources available. If you’re out of the country, you can even run a VPN to watch content from back home. It’s the only type of media stick, which you can plug in a micro SD card, up to 128 GB, loaded with your favorite movies and TV shows for offline viewing. It’s dual purpose too as you can run Office 2016 Power Point and just plug it into your client’s conference room TV to give a presentation or play product videos. Some at home setup are required, and you need to use a small travel keyboard. You can watch all available streaming media content using a web browser. Easy to log in to all Hotel Wi-Fi using a real Web Browser. It will play PowerPoint presentations. Has USB and Ethernet ports. You can plug in a USB Flash drive to play content. Compared to other media sticks, it’s expensive. You need to purchase the keyboard and remote separate. It does not work with TV USB power. 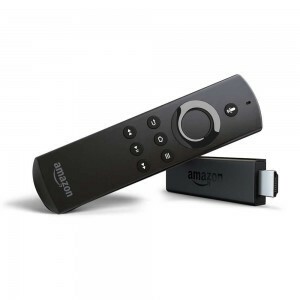 The Amazon Fire Stick is the next best streaming stick to use while traveling. It’s Android-based and has a built-in Web Viewer (not as powerful as a web browser), which enables you to login to most hotel Wi-Fi hotspots. It comes with an RF/Bluetooth remote and you can side-load other Android apps not found in the Amazon App Store. I enjoyed using it on a two-week road test. It’s nice being able to talk to the remote control when searching for content to watch. One annoyance I had with this device was that it kept disconnecting from Wi-Fi if the internet was a bit slow. Can be powered from TV USB power. With the built-in Web Viewer, you can log into most hotel Wi-Fi hotspots. It’s tiny and lightweight and comes with its own remote. You can side-load other Android apps not found in the Amazon app store. It’s inexpensive, starting at around US$39. It can support a Bluetooth keyboard and mouse, and you can speak into the remote for searches and commands. It’s Amazon-centric! And with it being Amazon-centric, you need an Amazon Prime account to play content without paying a fee. Services such as Netflix and Hulu are considered apps in the device and are a little hard to find in the menu system. No on/off switch on the remote, so you need to take out the batteries while traveling. It keeps disconnecting from a Wi-Fi signal – if the internet is a bit slow. The Google Chromecast comes in at number three on my list of streaming sticks. 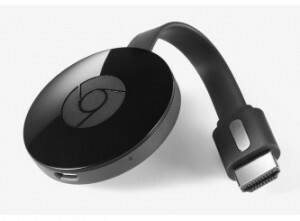 What puts the Google Chromecast third on my list is that it needs a direct connection to the internet, but doesn’t have a built-in web browser or viewer to log into hotel Wi-Fi. Although there are solutions to this problem, such as the one I wrote about in a previous article, it does have benefits. The main advantage is you use your phone as the remote, and if you have an Android phone with Lollipop or Marshmallow, or you run the Chrome Browser on your laptop, you can mirror your device allowing you to play any content available on the web. At US$35, the Chromecast is the cheapest of all four streaming sticks I’ve reviewed while traveling. Again, you can power it from the TV’s USB port. It’s inexpensive, and the original is small. You can power it from the TV’s USB port. With its display mirroring, you can watch any available web content, and you use your phone or laptop with Google Chrome as the remote. There is no web viewer or browser to log in a Wi-Fi hotspot. You need some other method/device, such as your portable hotspot or a travel router, which supports WISP (Wireless Internet Service Provider). When mirroring content, both the Chromecast and the device with the mirroring display, are in use at the same time. The Roku streaming stick is the granddaddy of streaming devices in the home and probably has the largest amount of content apps (channels) available. However, using it in a hotel room or on a public Wi-Fi the Roku stick falls short compared to the other choices mentioned above. As with the Chromecast, it requires a direct internet connection but doesn’t have a web viewer or browser to log in to the hotel Wi-Fi. It does broadcast a separate Wi-Fi signal so you can connect your smartphone or laptop to as a secondary device. Then using the secondary devices web browser, you can log in the Roku stick to a hotspot. You can also use the same method’s as I’ve outlined in my pChromecast article. The Roku stick does come with its own remote and is powered from the TV USB port. It has mirroring capability, but it falls short of Chromecast’s mirroring. 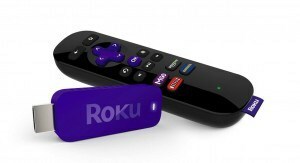 The cost of the Roku stick is around US$49 at the time of this writing making it the most expensive streaming stick that’s not a computer stick. It has more streaming content/apps available than any other device that’s not a computer stick. It comes with its own remote and does not disconnect on slow internet connections. You can power it from most TV USB ports. There is no web viewer or browser to log in to hotels Wi-Fi hotspot, so you need some other method, such as a smartphone, tablet, laptop. Or you can use a travel router that supports WISP (Wireless Internet Service Provider). The mirroring is not as good as the Chromecast. It’s more expensive than the Amazon Fire Stick and the Google Chromecast. Tip: If you intend using a streaming stick while staying in a hotel room, it’s worth checking the hotel’s internet speed at Hotel Wi-Fi Test or read my article How to Check A Hotels WiFi Speed Before Booking a Room. Since I had to make the purchases myself, I was not able to review all streaming sticks. However, please feel free to make any comments regarding my review or make recommendations regarding any other streaming sticks I didn’t mention above. Article is a bit out of date. Yes, the Roku stick 2016,which came out in April, is capable of connecting to hotel wifi using your phone. So is the original Roku too. This is why I included the Roku stick in my article.